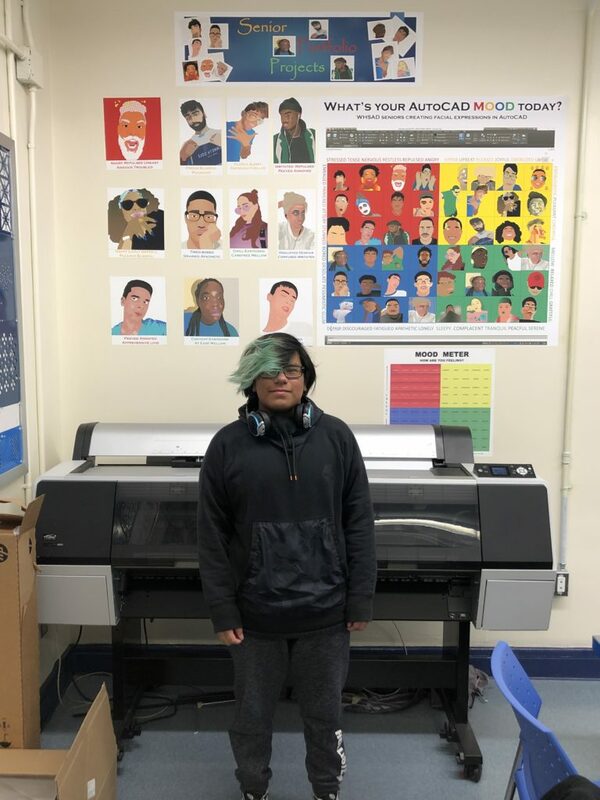 Student correspondent, Maya Ortiz, interviewed Antonio on his thoughts regarding his nomination, his years at WHSAD, and advice to those seeking to have successful high school experiences. Senior, Antonio Rojos, decribes his four years here at WHSAD as a very enlightening experience. He finds our school very flexible, with many opportunities for all kind of interests students have. He advises to take advantage of the internships the school provides and also to use office hours wisely because they will help you in the long run. If you find yourself struggling in any way academically, you should not think twice about asking a teacher to help you. He also had a word of advice: “Focus on the big picture, do not worry about the little problems. Any struggles you are facing will not bring you down forever”. Perseverance is one of the trait he has, and it is the best way to achieve all the goals you have set for yourself. He has seen himself grow over the years he has spent here. He was able to clean up his act and , when he went to the teachers for help, he saw a increase in his class performance. He began to study more, came to school on time, and even saw himself turning in work earlier. Overall, Antonio has had an excellent time here at WHSAD and his growth will not stop here. He will continue to strive for success .